The Movie Sleuth is dedicated to bringing you SPOILER FREE movie reviews and articles. New releases, blu rays, cult movies, interviews, and articles. Remaking a beloved film is a tricky task. They often feel like soulless cash-ins or cheap pandering to nostalgia. Fortunately, director Luca Guadagnino decided to take his version of Suspiria in a completely different direction, and the result is that it feels like a fresh reinterpretation of the source material instead of a retread. The basic plot remains the same--the story revolves around Susie Bannion (Dakota Johnson) who is an American woman who has been accepted to a prestigious dance school in West Berlin. Another dancer that was attending the school has mysteriously gone missing and rumors of a witch coven further deepens the intrigue. The narrative has two main plot threads running simultaneously: Susie's struggle to fit in at the dance school and the investigation of the missing student by a curious psychotherapist named Dr. Josef (interestingly played by Tilda Swinton in male drag). All of this is set to the tune of the political unrest that was going on in West Berlin during the late '70s. In this version of Suspiria, Guadagnino decided to lean heavily into the dancing aspect of the narrative, and there are several beautifully choreographed dance sequences in the film. This idea of kinetic body movement translating into casting magic spells is creative and it adds an element of theatricality to the atmosphere. Dancing is even incorporated into an incredibly gruesome kill culminating in one of the most harrowing and mesmerizing moments of body horror I have seen in recent memory. The costuming and editing during these dance segments is masterful, though the sheer amount of it might be off-putting to those expecting a more straightforward horror film. The flamboyant colors that Dario Argento used in the original film are missing, but the dancing adds a different type of "color" if you will. Another interesting subtext in this film is the emphasis on femininity and the way women interact with both each other and their environment. The witch coven is more fleshed out in this iteration and their influence is felt throughout the entire film. There are very few male characters and the ones that do appear are at the mercy of the witches ire and derision. One could almost say that the witches aren't exactly evil as much as they are ambitious, and I found this moral ambiguity to be refreshing. They are a product of their environment and though they have violent ways of accomplishing their goals, they share a respect for each other and an admirable devotion to their ideology. 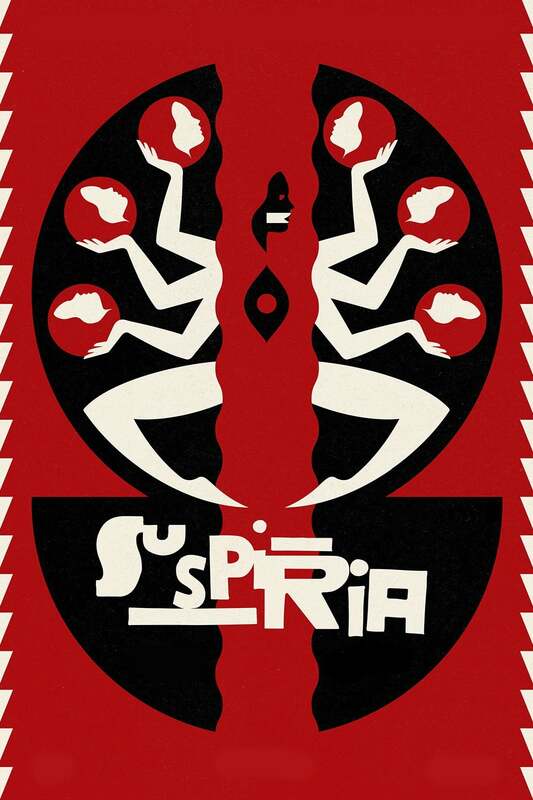 The look of this version of Suspiria is much more grounded and subdued color palette wise, but the third act has some insane visuals that will definitely make an impact on viewers. Thom York's musical score is absolutely gorgeous, with its dreamy vocals and detuned lush electronic melodies. York's decision to keep vocals on some of his tracks might be distracting to some, but I found it to enhance what was going on. My main negative with the film is the length and the pacing. At 152 minutes, this movie is almost a full hour longer than the original, and quite frankly a lot of it is meandering and self-indulgent, especially in the second act. I don't have an issue with slow films, but they do need to have consistent pacing and forward motion. I can tell this was a passion project for Guadagnino and I respect his vision, but at the same time, the slow pacing is going to be a hard sell for a lot of people. The final thirty minutes of the film is worth the wait, but how many will give up before that point? It is what it is though, and this is how he chose the narrative to flow. There are those who would dismiss this film just because it exists at all, but it is not meant to be a replacement of the original masterpiece, but a different take on the same idea. Those who give it a chance might be pleasantly surprised by its scope and panache. Be forewarned though, this movie is incredibly grotesque at times and its art house trappings hides a vicious and disturbing core. 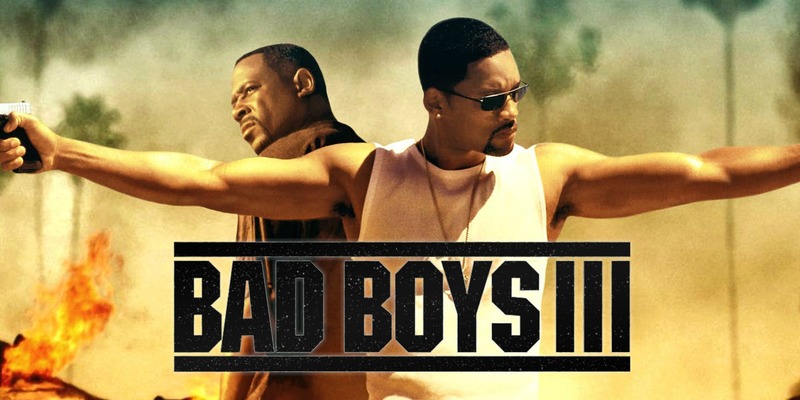 The last few years have been a case of on again off again for the third film in the Bad Boys franchise. With the project constantly in flux, no one was ever quite sure where the project was headed. 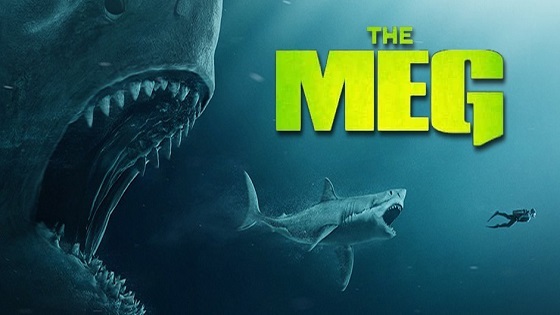 Initially announced half a decade ago, the movie was eventually completely removed from the release slate and was thought to be dead in the water. It was just a couple months back that Bad Boys For Life finally started to see some positive momentum. Now, Martin Lawrence has taken to Instagram to let us know that himself and Will Smith are back together and ready to roll on the next action filled entry in the series. The Movie Sleuth presents a small review and a backstory of Catacombes de Paris. Upon traveling to Paris, France in October of 2015, my morbid curiosity was at a fever pitch realizing I could experience the Catacombs of Paris (Catacombes de Paris) first hand. Remembering the claustrophobic feel of the horror film, As Above So Below from a couple years ago, I had to see exactly what this was about. Being a person that is typically shy of close corridors, this venture was one that made me nervous but pervertedly curious at the same time. The long winding walk down a narrow steel spiral stairway that would lead to the Catacombs was enough to turn my stomach and cut right through any bit of confidence I had going into this massive underground graveyard. These Catacombs of Paris are the largest gravesite on the planet and hold the skeletal remains of over six/seven million former French inhabitants. The bones are stacked ever so neatly in an engineered fashion that's strangely secure and revealing. In some instances, you could just imagine how some of these people may have died. With shattered skulls and sheared bones, this place is what chilling nightmares are made of. Osseous matter is turned into ornamental designs as visitors are treated to a dread inducing venture that can only be had below the streets of Paris. Some skulls are fragmented showing the signs of traumatic death while others make the vicious mortality of school age children a reality. Seeing the remnants of actual skeletons lining the dank and damp hallways of this extremely popular tourist spot is an eerie reminder of our own fragility as well as the dark history that fills these corridors. The Catacombs are an embodiment of death that could almost be considered a work of shadowy art, capturing a certain time period in a framework of pure darkness and humility. Sometime in the late 17th century, Paris ran out of room for in its corpses. The smell of rotting flesh filled the streets as the city's inhabitants grew weary of the possibility of disease from overflowing cemeteries. In some instances, grave sites were so over stuffed that bodies became uncovered, exposing them to nature's elements, giving funeral attendants and visitors a disgust inducing look at deteriorated human remnants. In an effort to eliminate their chances of bacterial contamination from decomposing flesh, the bodies were moved over a 12 year period. Beginning with the collapsing cemetery Les Innocents in 1786, the corpses were slowly transferred to the former limestone quarries that would later be known as Catacombes de Paris. It's estimated that the skeletal remains of nearly seven million people now rest in the hallways of the Catacombs. Considering my previously mentioned fear of tight spaces, the Catacombs was one of the better experiences of our trip. Seeing the spots where As Above So Below was filmed was interesting considering the cramped confines of the area. Thinking about a film crew working in the limited space of this extremely popular tourist destination gave me a whole new outlook and respect for how hard it must have been to film in there. With a cool dampness, dreary soiled tones throughout and a small amount of lighting, the Catacombs could never be an easy spot to film a movie. Somehow, they pulled it off. I can't recommend this destination enough. If you're a horror fan such as myself, this area will pique your interest and satisfy the curiosities that hold true to the genre as a whole. This is a cavernous walk through a historical landmark that will undoubtedly satiate your thirst and desire for the horrific. And it's real. This is no movie. The Catacombs offer an insightful look at how small we are and how long we've been here, bones stacked upon bones. For the willful horrorhound, this is one site you must experience for yourself. And buy some genuine absinthe on the way out. More photos from the Empire of the Dead. Less than a week ago I was telling a friend how I never really had a problem with spiders until re-watching the Jeff Daniels classic, Arachnophobia, and this week we get an episode of Doctor Who -- Arachnids in the UK -- about giant spiders slowly taking over Sheffield. I guess I was asking for it, eh? 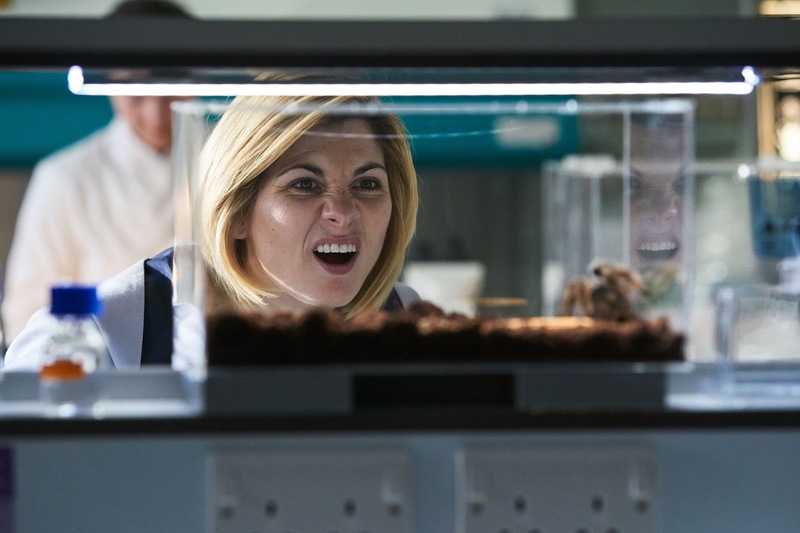 While I found last week’s episode, Rosa, to be more of an imitation of another show, Arachnids in the UK was a lot of fun, even if it was not completely original. It also managed to deliver the goods in terms of emotional arcs for the Doctor’s (Jodie Whittaker) companions, specifically Graham (Bradley Walsh) who is still mourning the death of his wife, Grace (Sharon D. Clarke). There is some truly lovely imagery when Graham returns to his home to find remnants of Grace, even going so far as to have imagined conversations with her about meaningless things like what day of the week the recycling is done. While the Doctor has successfully returned Graham, along with Ryan (Tosin Cole) and Yas (Mandip Gill) to Sheffield a mere half hour after they originally left, time has continued to pass for these characters. Returning home, at least for Graham, is a sign that the healing process has only just began, if it has at all. It is not long before things start to get weird, in true Doctor Who style. There’s a mysterious hotel with a Trump-like figure, Jack Robertson (a wonderful Chris Noth at his most despicable), at its center, protecting some sort of secret, while Yas’s neighbor seems to have been killed by a giant spider. Before long, the companions reunite with the Doctor at the previously mentioned nefarious hotel, and the spiders begin to… invade. Arachnids in the UK is yet another example of how politically charged this season of Doctor Who has been and will likely continue to be. Noth’s Jack takes zero responsibility for his actions, which have ultimately led to the spider infestation, and his way of doing carrying out justice involves guns payoffs; characteristics which sound eerily like that of our president. There are even a few direct callouts to Trump, with Jack saying that he’s running for president in 2020 because of his hatred for the guy. Takes one to know one, I guess. The other thing Arachnids in the UK does really well is add humanity to an otherwise inhuman story. Every incarnation of the Doctor has cared about people and creatures from our worlds and many others, even if some (like Capaldi’s Twelve) did not always like to admit it. Whittaker’s Doctor is much more up front and matter of fact about the so-called differences that separates us from one another -- as seen in last week’s episode -- and us from what most of us probably think are ugly, terrfiying insects. It’s refreshing to see how simple it could all be if everyone had the same beliefs as the Doctor: we are all simply beings living in the universe. We may look and act different and we may not even be the same species, but in the end we’re all in this together so we might as well get along. That sentiment is what Doctor Who has always been and represented for fans and non-fans alike. She is a beacon of hope that has the ability to affect and impact real, positive change. At least that’s what we hope for week-in and week-out. It’s a shame to label it science fiction when we live in such a state of political turmoil and hatred of and for those with different views than us. All of this is to say that this season of the show is politically charged because it needs to be. How could it not? The fan outrage over a woman becoming the Doctor (as I alluded to in last week’s review) is beyond absurd. It feels like exactly the type of backwards-thinking world, or even parallel universe that the Doctor herself would and has encountered on the show in the past. 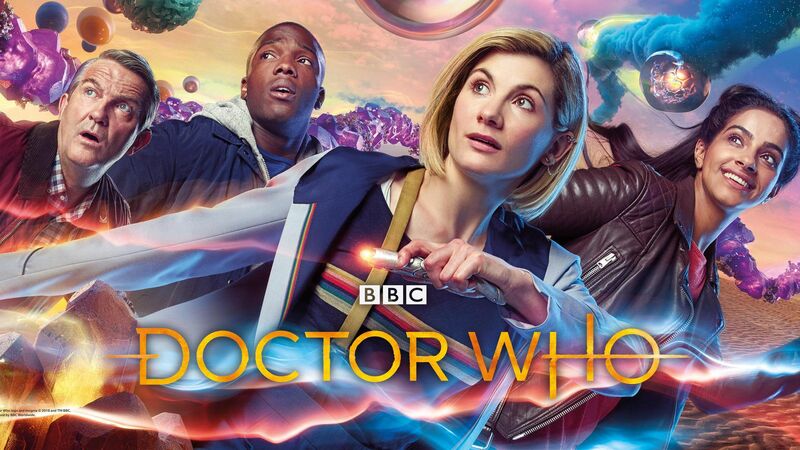 Rather than shy away from it, creator Chris Chibnall, who also wrote the episode, has embraced it and worked into the show’s original and new mission statement: This is how it is and how it should be. Let’s aspire to be better than we are. Let us be the people the Doctor believes we are. In this case, these spiders are confused and acting aggressively precisely because of the humans like Jack who don’t care about the repercussions of their carelessness. Unsurprisingly, the Doctor is on the side of the spiders. Rather than reacting out of fear, she tries to understand them and work with them to solve the problem, not against. By the end of the hour, all three companions have clearly had their fill of a world gone mad, each for different, yet equally understandable reasons. The potential danger that the Doctor warns everyone about sounds more appealing than the realities of modern day living. The most human element in this episode aside from our heroes, in other words, are the spiders. Humans, and their lack of empathy (represented by Jack), are the biggest monsters of all. Thank God we have the Doctor to bring out the best in us. She commented while attending the US-China Entertainment Summit. While the first movie was extremely silly, it still went on to a massive haul in the foreign and domestic markets. Now we wait. Today is the day Michael came home. 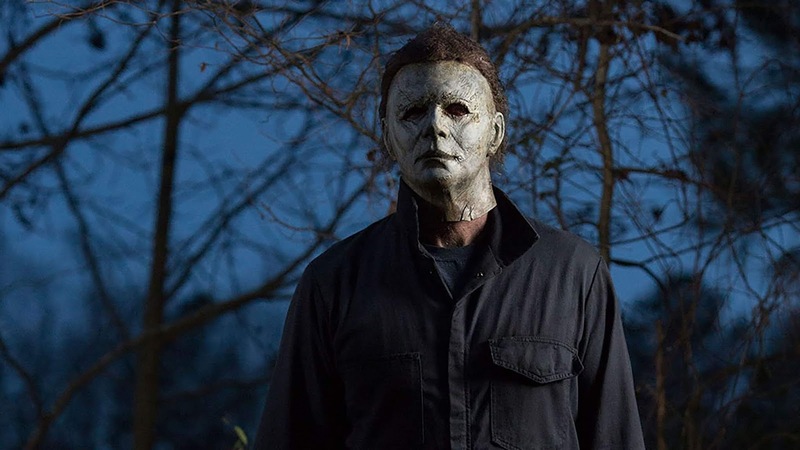 Check out our 101st episode when we dive headlong into the Halloween series. What better day than today to post this wonderful episode on the slasher from Haddonfield. 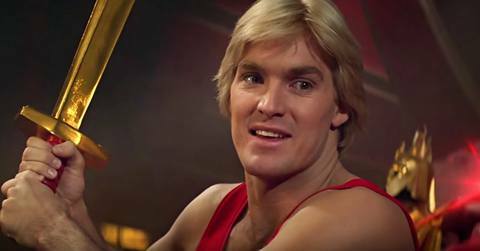 Every few years we seem to get a reboot or relaunch of the now classic science fiction adventure character, Flash Gordon. With numerous failed television series that have chronicled Gordon's battles against Ming the Merciless, it seems that the original serial and the '80s movie version are held in highest regard by fans of the space bound traveler. Now, it looks as though Flash is getting another new spin as the director of Overlord has been handed the keys to Ming's castle. That's right, Julius Avery will be rebooting Alex Raymond's 1934 comic strip character for the big screen. Deadline is reporting the news today. His Overlord premieres in theaters next week with Flash Gordon apparently being the next project on the director's slate. News is breaking tonight that Disney and Marvel have a new limited series in the works that will feature two heroes from The Avengers films. Empire writer Malcolm Spellman has been hired to write the new limited run that will center on both Falcon and The Winter Soldier. Both Anthony Mackie and Sebastian Stan are expected to reprise their roles for the show that will premiere after Disney launches its upcoming streaming service. Just last month it was reported that other characters from the universe were also being given event series when Disney finally taps in to that market. It seems they're getting ready to make better use of featured characters that haven't been given their own solo movies. Kevin Feige is also expected to be heavily involved in the development of the project. Today, Variety is reporting that Hollywood mega-star Naomi Watts has joined the upcoming Game of Thrones prequel that is currently in the early stages of development. She'll be playing a socialite that's hiding a dark secret. Watts obviously starred in the latest season of Twin Peaks, David Lynch's wonderful Mulholland Drive, and of course Peter Jackson's King Kong remake alongside countless other indie hits and big budget films. 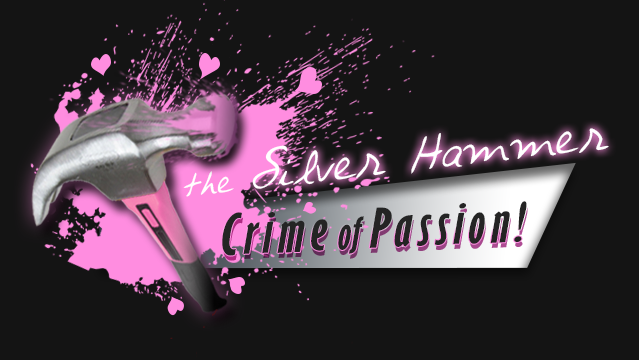 The show is created by Jane Goldman and GOT author George R.R. Martin. Goldman will be serving as the show runner on the project with Martin assigned as an executive producer. Goldman says that no characters or stars from the current Game of Thrones run will be featured in the new series. This will be a fully original project that will be interconnected to the hit HBO series. 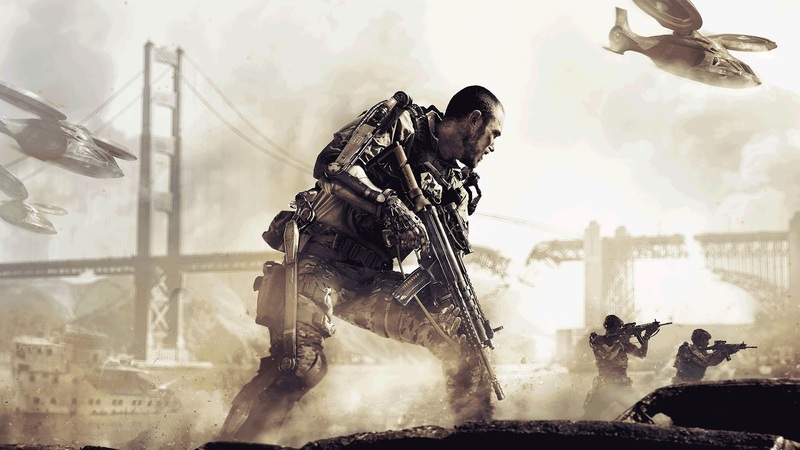 A live-action Call of Duty movie has been rumored for almost a decade, and it looks like now that they finally have a director, Sicario: Day of the Soldado's Stefano Solima, plans are moving ahead at light speed. Activision Blizzard is planning on this being a new movie universe inspired by the Marvel Movie Universe, is hoping to use the many different iterations of the video game franchise to create one large cohesive universe that viewers will be able to explore over the next several years. Although pre-production seems to only be in the early stages, the studios are hoping that they can get the production in front of cameras as early as 2019. So, if you're a fan of the franchise, this is something big to look forward to for you, and if you're not, well it could still be a fun big budget covert ops war movie that we can sink our teeth into.